The rising trend of electric powered vehicles is something that even independent mechanics are starting to dabble in, much to our enjoyment. 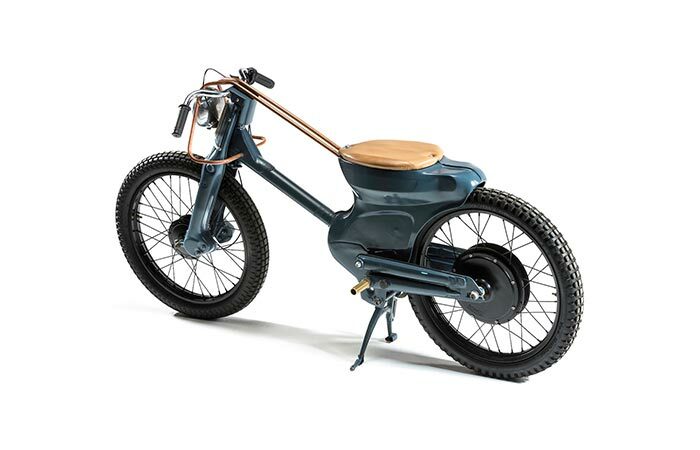 Recently, a couple of guys from Australia decided to create a revamped version of the Honda C90 Cub. Incidentally, CT90’s big brother CT110, which is known under the name “Postie”, was very popular due to its widespread use by postal workers in Australia and New Zealand. 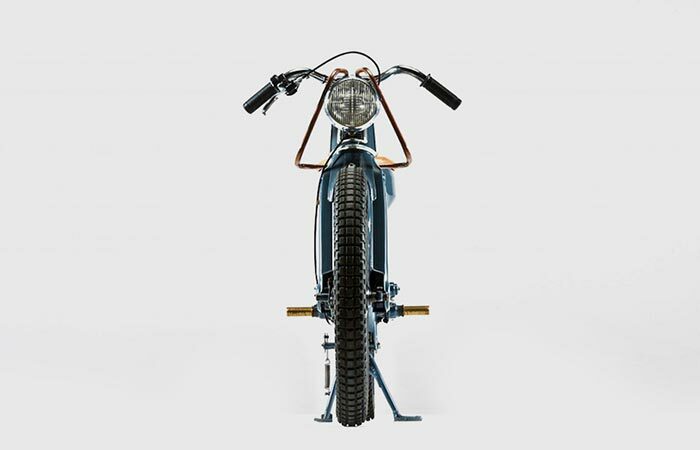 Joe Fischer and Ryan Mischkulnig stripped the bike down to its bare bones and started modifying it, creating something unique in the process. The result is the Deus Electric Motorcycle, which looks amazing and is carbon emission free. Hats off to this talented duo for their accomplishment. The process began with stripping the parts of the C90 Cub which didn’t fit their vision, and that was, first and foremost, the gasoline engine and all of its associated parts. Instead of the gasoline engine, the duo incorporated a 5.2kW electric motor and implemented the 1.5 kWh LiFePO4 battery system used by the MX H-52 Hurricane. No one said that café racer need to have gasoline powered engines and that they can’t be designed as the Deus Electric Motorcycle is. 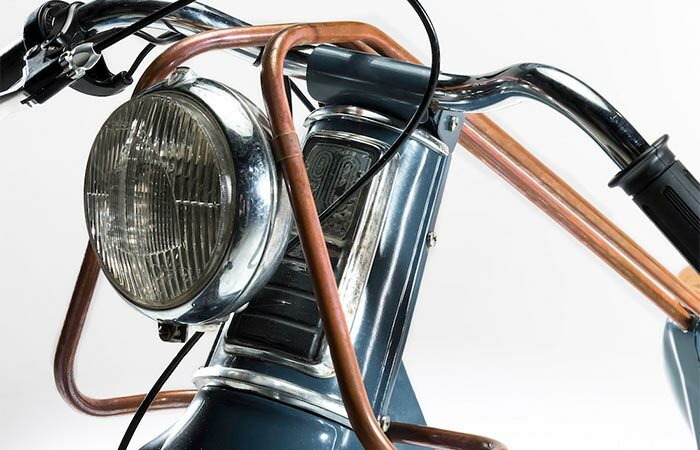 The copper tubing gives this mini café racer a retro charm and the duo decided to alter the steering mechanism by replacing it with handlebars from a women’s bicycle and it looks pretty awesome. A Marshall car spotlight headlight was used to replace the standard headlight which further enforces its retro design. As for the seat, it was made from exercise mat foam and covered in leather to give it a better look. The efforts that these two talented gentlemen made was acknowledged on the 2015 Deus Bike Build Off in Sydney, where they won first place. Despite the fact that their competitors design brilliant cafe racers, the duo were triumphant because they have made something amazing with very little materials. After looking into the design of the bike, it’s safe to say that it would be a pleasure to take a ride on this mini bad boy.